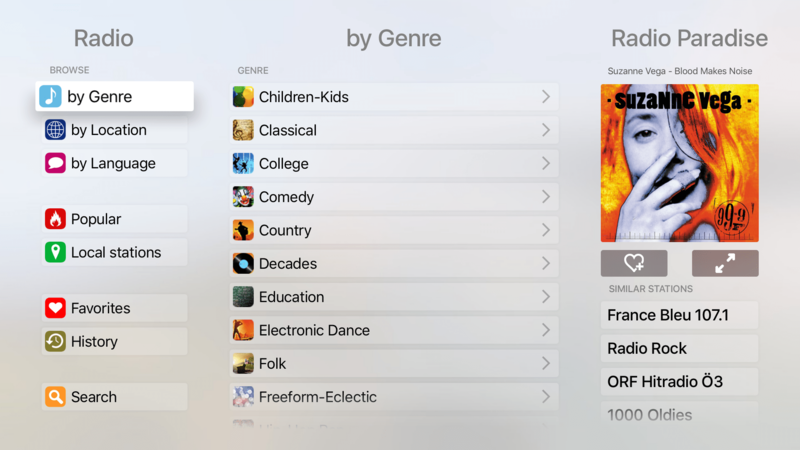 Right with the start of 4th generation Apple TV, appsolute GmbH launched it’s new version of Receiver. 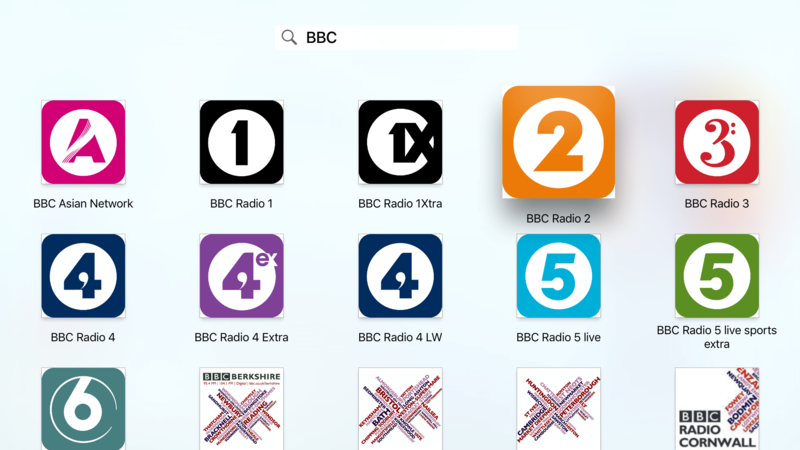 The app integrates Tune In GmbH’s airable.radio catalogue of worldwide internet radio stations. Welcomed by users, Receiver is the most used app in the music category according to Slidetoplay statistics. 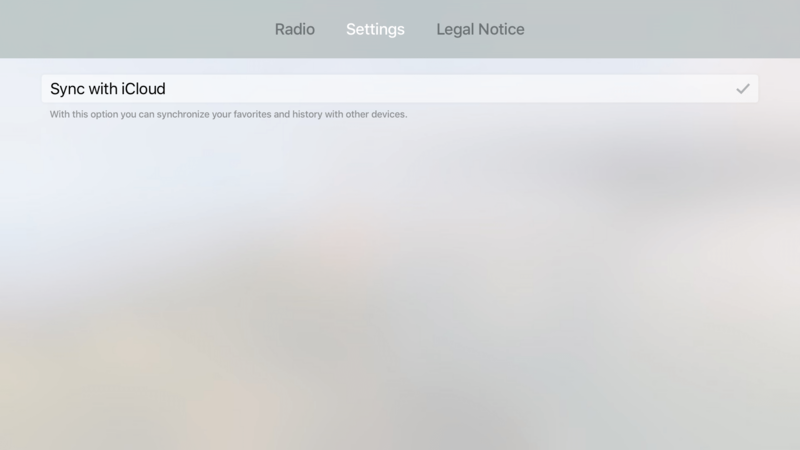 Receiver for Apple TV comes with more than 22.000 freely available internet radio stations, made available by an intuitive and compelling user interface. Stations are sorted by genre, location and language. Directories of “Popular Stations” or “Local Stations” and “Search” make discovering internet radio easy. 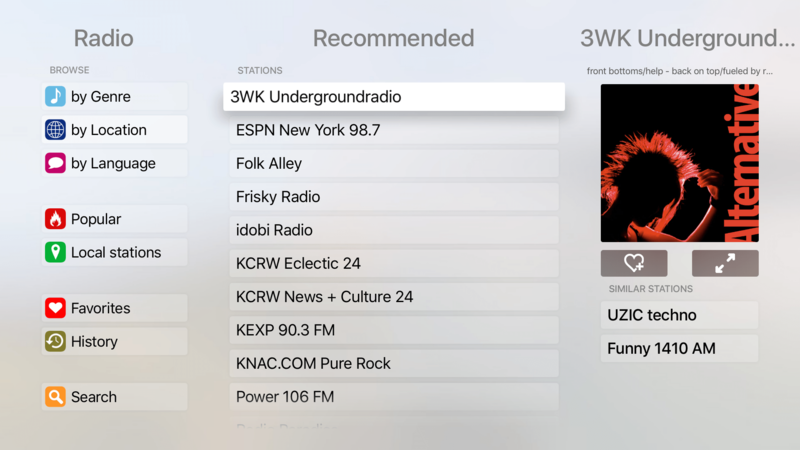 Recommendations of similar stations are listed to the playing radio station. Search lists all stations related to the keyword entered. Bookmarked favorites are synchronized with Receiver Apps on Apple Watch, iPads or iPhones via Apple’s iCould.